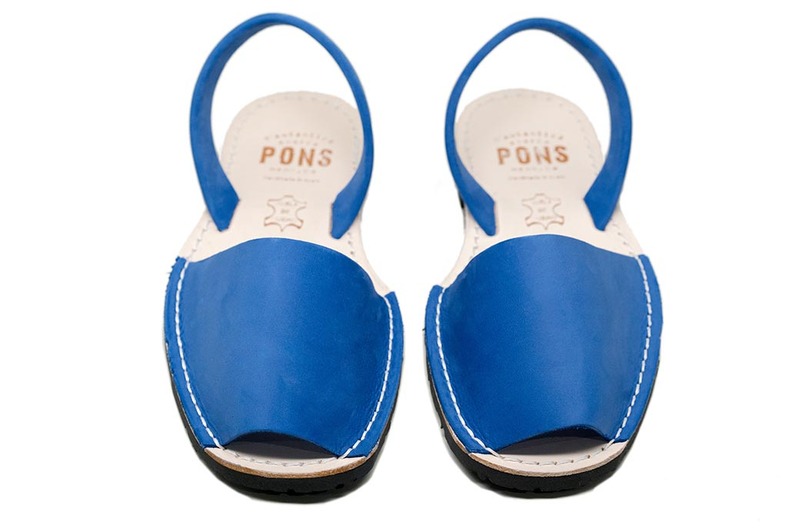 Our women's Classic Pons Avarcas in Royal Blue are a cheerful blue that will have you longing for a dip in water of a deep cool spring. 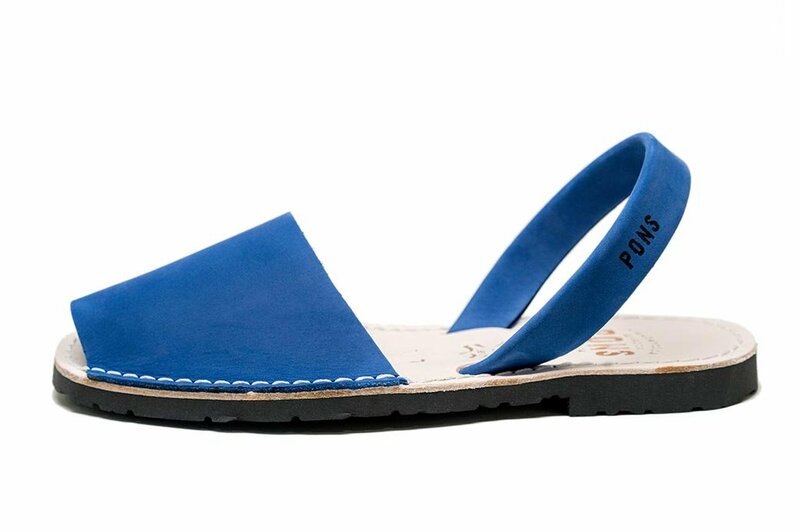 Individually handcrafted on the Spanish island of Menorca, these Pons shoes are produced with the finest soft Nubuck leather and have a durable rubber sole. 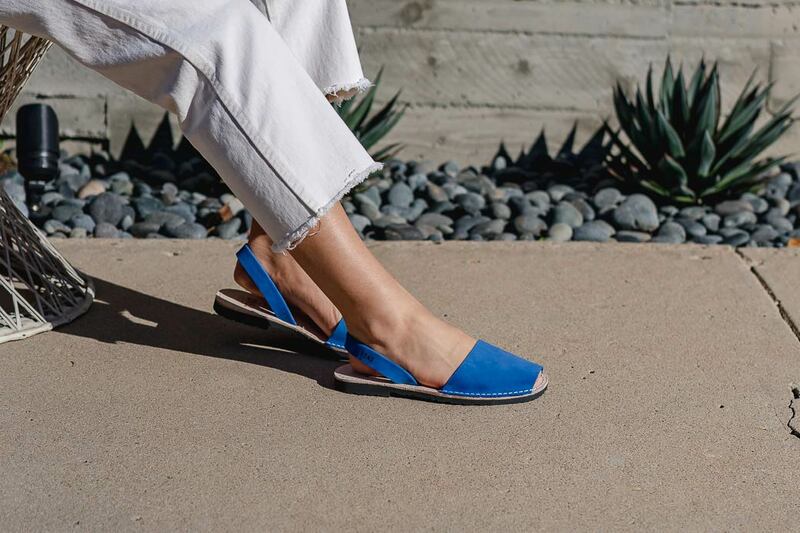 Let their contrast show by pairing these cool blue sandals with warm, bright colors like red and orange.